"Quality is the essence of all that we do", this is the opening statement of the Quality Policy of Candy Group, which confirms how its activities have always been geared to achieving total Quality since the very beginning. Our prime objective, as proposed in the company mission, is customer satisfaction. 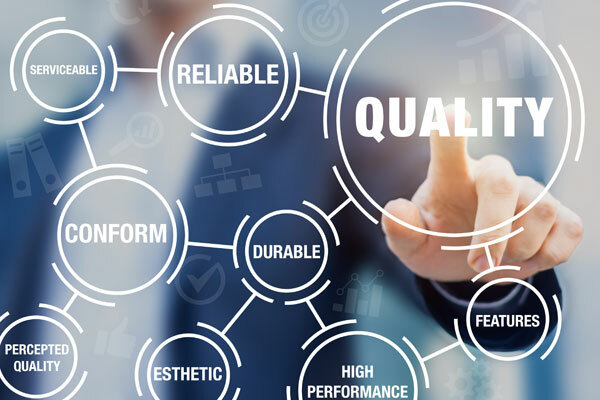 This is why our focus on Quality is a constant commitment, both in our offices during the product development stages and also at our manufacturing sites in the production phase, through to our sales network and customer care service. Our pledge is to provide every consumer with a high-performing, durable product and, at the same time, with support and a service that enhances the user experience, ensuring customer satisfaction for all types of use. We pursue this objective with dogged determination and it is one of the key elements placing Candy Group among the top players in today’s market. To assure our customers that we will keep our promises and continue improving the performances of our products and services, Candy Group applies an effective management system to each technical and production scenario, geared towards achieving high quality standards and certified in compliance with the latest version of standard ISO 9001.